Music just like most other things one finds on earth divides opinion among fans, the kind of music and the musician loved by one differs from the kind of music and musician loved by another person. While this is largely the case, there are a few outliners who have managed to cut across these differences and who have managed to produce music that appeals to anyone and everyone. Musicians who have managed to do this have reached dizzy heights in terms of popularity and they include the following. John Lennon infamously said, “We’re more popular than Jesus” in a 1966 interview. The comment was reckless and it sparked the start of the end for the group but what John Lennon wanted to convey with this unfortunate statement was the popularity his group was enjoying. 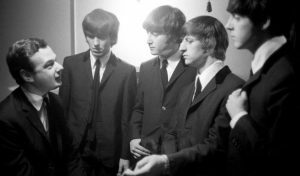 Indeed The Beatles were popular at that time and even though the group went on to disintegrate a few years later, their popularity has not waned till this very day. The King of Pop as he was affectionately known before his time of death in 2009. At the time of his death, Michael Jackson was the best-selling music artist of all time. For four decades, Michael Jackson was a global figure, his influence was not only restricted to the music world but also transcended to the fashion industry, film industry, and the dance industry. Though he is no more, he still ranks as one of the most famous international musicians. Robert Nesta Marley popularly known as Bob Marley can be considered a musical powerhouse of all time with his music still fresh even though his last production came in the late 1970s. Bob Marley has shown flair and talent which he passionately shared with the world. Some of his greatest hits include Redemption Song, Buffalo Soldier, Exodus and Soul Rebel.